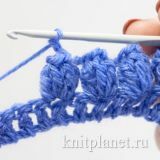 Crochet Shell Stitch as Marine Coral - very beautiful pattern. 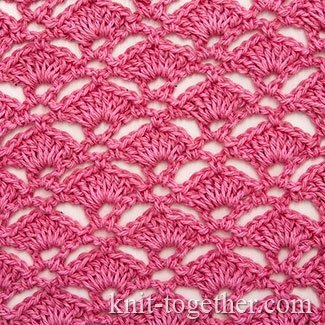 This pattern creates lacy, but not too transparent fabric. 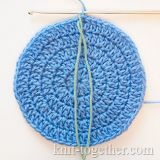 Can be used to crochet blouses and dresses, both independently and in combination with other patterns. 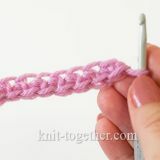 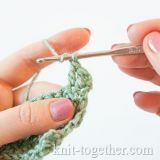 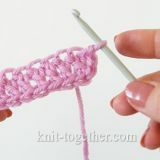 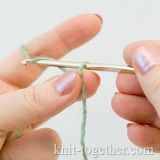 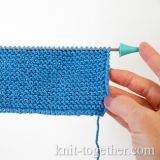 For an example make chain stitches a multiple of 8, plus 6 chains for the symmetry of the pattern, plus 3 turning chains. 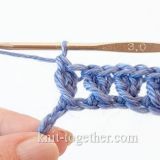 5 row: 2 turning chains, * 7 double crochet in space under two chains between two double crochet of previous row, 1 single crochet in space under three chains of previous row, 3 chains, 1 single crochet in space under three chains of previous row *, 7 double crochet in space under two chains between two double crochet of previous row, 1 double crochet in turning chain of previous row.